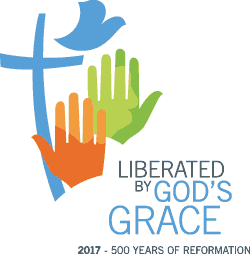 (LWI) – Lutherans and Roman Catholics in Australia marked the 500th anniversary of the launching of the Reformation by pledging to renew the church together. In a Reformation Day statement signed by Bishop John Henderson of the Lutheran Church of Australia and Archbishop Christopher Prowse of the Australian Catholic Bishops Conference, the two church traditions acknowledged the historical animosity between them but noted they celebrated the unity shared today. “The question the church faces today and into the future is about how we communicate the truth about God. The anniversary of the Reformation prompts us to reflect together on this question. It will require a renewed commitment to teach God’s word,” the statement said. This calls for a “re-statement” about the saving love of God revealed in Jesus Christ through the Holy Spirit, it added. By commemorating the Reformation anniversary, Lutherans and Catholics in Australia commit themselves to a process of ongoing renewal that will take them to the heart of the gospel, the statement added. In the joint statement, the Lutherans and Catholics in Australia highlighted three dimensions. They stated their deep awareness of the damage done by the conflict and division resulting from the 16th century Reformation. They also expressed gratitude for the healing of relationships between the two traditions; and affirmed that they look forward to witnessing together in the future. Since 1975 the Lutheran-Roman Catholic Dialogue in Australia has been meeting to discuss the doctrine of justification, the Eucharist, church, ministry, Scripture and tradition. While the two churches have not arrived at full communion, they say they have reached the point where there is a growing awareness of the substantial communion that exists between them. The Catholic Church in Australia welcomed the 2013 decision of the Lutheran Church of Australia to begin calling their presidents “bishops” as a sign of communion between the churches. “We encourage all members of the Catholic Church and the Lutheran Church to hear from God a call to be continuously transformed by our encounter with each other and to be living witnesses to the power of the gospel,” the joint statement added. The 60,000-member LCA has been an associate member church of The Lutheran World Federation since 1994.